I am a huge fan of the science fiction genre. 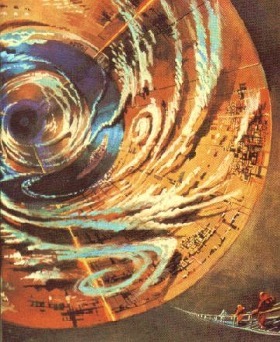 Arthur C Clarke is one of my favorite science fiction writers after Isaac Asimov. It saddens me to have learnt that he has passed away. Most people get reminded of “2001: A Space Odyssey” when they hear the name Arthur C Clarke. I get reminded of “Rendezvouz with Rama“, a brilliantly conceived novel that set my imagination on fire. For all the Clarke fans out there, “Rendezvouz with Rama“. The ramans always do things in threes!